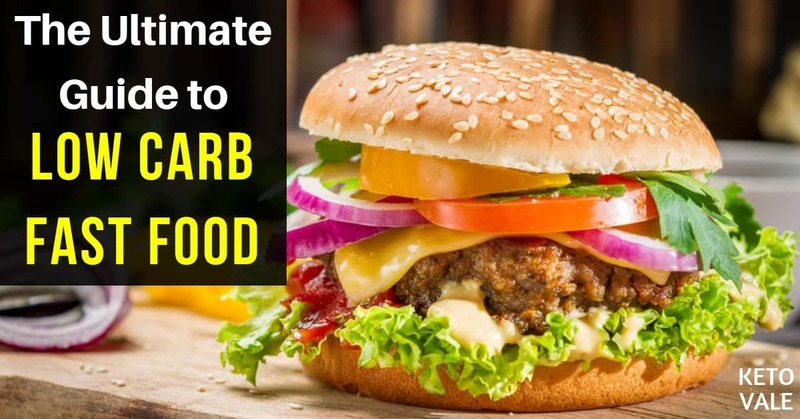 →Can You Eat Fast Food on Keto Diet? Being on the ketogenic diet can be a challenge at times. There is a lot of meal planning involved and thinking ahead about what you’re going to eat next. You can’t just go out and grab a sandwich or a bagel at the nearest fast food joint like others can while you’re running late for work. But that doesn’t mean that you can’t enjoy a quite bite out every once and awhile. While it’s true that preparing your food at home is always the healthiest option, we understand that life happens and you can’t be perfect all the time. Luckily, fast-food restaurants are there to back you up when you’re in an emergency situation. 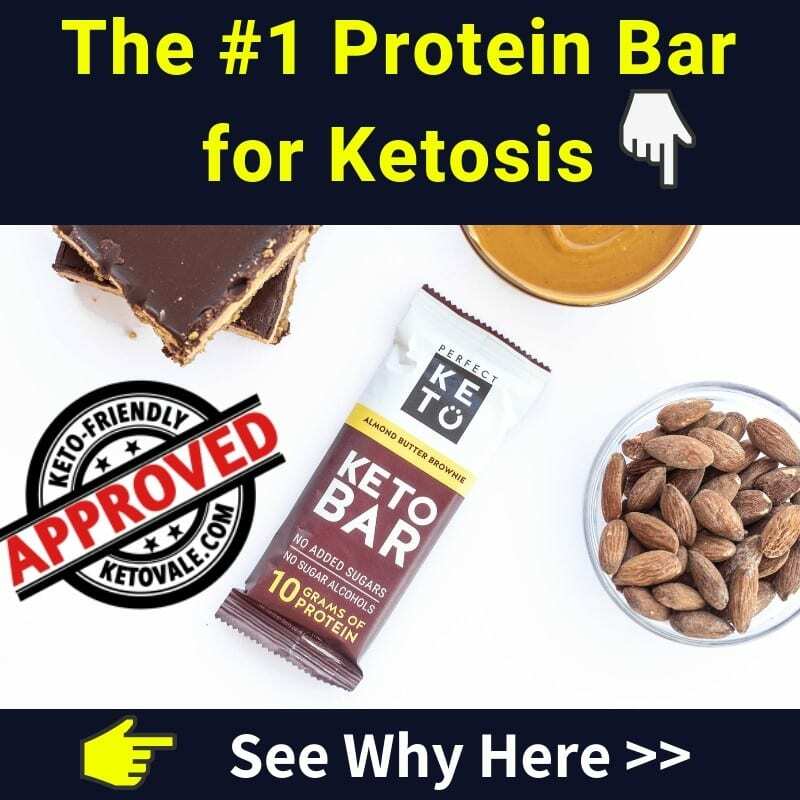 The best thing about them is that you can customize your order and get what you need to stay in ketosis. Let’s be clear: we don’t endorse eating fast foods. We believe everyone should try to prepare their keto meals from home with fresh and quality keto-friendly ingredients. But if you’re stuck somewhere (such as on a road trip) and you forget to carry keto foods with you, it’s still better to eat low-carb fast foods than to have a high-carb cheat meal. If you haven’t ordered fast food in a long time, you might even be surprised by the healthy makeover some of them have tried to take on. Low-carb fast food might seem a bit too good to be true, but it’s possible, and we’re here to show you the ropes! Chances are you won’t be overwhelmed with choices when it comes to making a ketogenic fast-food choice. There might only be one or two things off the menu that you can eat. But even if you get a side of bacon and a coffee, you can keep yourself going until your next meal. Most places offer some sort of breakfast sandwich first thing in the morning. We recommend asking for a bacon, sausage, cheese, and egg sandwich and holding the bread and sauce or simply taking it off before eating. Pair your keto sandwich with an unsweetened iced tea or a big green salad and you have a healthy keto meal in minutes. Of course, you’ll want to avoid salad dressings and sauces as most of these are full of processed sugar. You can always ask for a side of olive oil and lemon or vinegar. Most basic restaurants like McDonald’s or Burger King won’t have this, but some of the nicer ones like Panera might. As a general rule of thumb, stay away from soups. They tend to be full of sugar and flour and are definitely NOT keto-friendly. If you’re craving tacos, order a few with beef, sour cream, cheese, and avocado, and skip out on the taco shell. You can make it work just about anywhere you go at least for one meal. Doing your homework ahead of time can help you search for nutritional information and ingredients before you head out, but we understand that part of the appeal of fast food is that you don’t have time to do this. Luckily, we’ve done it for you. In this section, we’ll break it down by popular restaurants to give you a good idea about what you should order the next time you eat fast food. When you think about fast food, what’s the first restaurant that comes to mind? It’s probably McDonald’s, right? After all, it’s been around forever and you can always find one no matter where you’re traveling in the world. Back in the day, there was nothing even remotely healthy about McDonald’s, but they’ve really tried to step their game up in recent years to give you more options than chicken nuggets and french fries. You’ll still find those foods there, but if you dig a little deeper, you just might find some buried treasure. For lunch or dinner, you can get a double bacon smokehouse burger minus the bun. Just have them hold any sauce they include on the sandwich, such as barbeque sauce or ketchup. Instead, ask for a side salad without dressing or have them put lettuce greens, onions, and mushrooms on your sandwich. Obviously, you’ll want to stay away from the french fries and chicken nuggets, too. Wash it down with an unsweetened ice tea or coffee with cream. Burger King isn’t a place you want to get all of your meat from since it’s probably full of antibiotics and growth hormones, but it’s a good fast-food joint to hit up if you’re in a pinch. Burger King prides themselves on being the king of burgers, so take advantage of it by ordering your favorite burger minus the bun and sauce. Just don’t get tempted by their pick-two combos and stay away from the soft drinks and french fries. What to order: Burger King is home of the flame-grilled burger, so you’ll probably enjoy the taste without needing anything additional in the way of flavoring. A few burgers come loaded with onion rings, which are breaded so you’ll want to avoid eating them should they find their way on your burger. Burger King also has a side salad you can order along with your burger. Just make sure it has no croutons or dressing on it. Their chicken club sandwich might sound like a good idea, but the chicken is breaded so you’ll want to stay away from it. They also have a few different breakfast sandwiches you can get minus the bun, such as the double ham breakfast king, double sausage breakfast king, and the double bacon breakfast king. BK also has a fully loaded biscuit or croissant that comes with bacon, egg, ham, and cheese that sounds quite yummy and keto-friendly. Order it, toss the bread, and wash it down with a bottle of water. As the slogan goes, Arby’s has the meats. This means that you’ll be able to find something to eat there as long as you know how to order it. They offer a TON of different sandwiches. In fact, there are 32 different options, according to their website. Most of these are fine to get as long as you hold the bread and the sauce. Interestingly, they offer several kinds of gyro meats, including traditional, turkey, and roast beef. Keep in mind that gyros are tasty and all, but they come with a cucumber-yogurt sauce that you’ll want to have them hold. As always, focus on meat, cheese, and veggies when making a decision. The fattier the meat, the better. So opt for the roast beef and pass on the turkey and chicken. What to order: You won’t go wrong when you order a roast beef sandwich sans the bun and sauce from Arby’s, but keep in mind that these meats aren’t from clean sources. It’s fine to order them occasionally, but don’t make this part of your daily routine. Beware: some of the chicken sandwiches are breaded, so you’ll want to stay away from them. The farmhouse chicken salad is also breaded If you order a side salad, get it without the chicken and dressing. Also check to make sure no croutons are on there. There aren’t really any keto-friendly sides you can get, so load up on the meat and cheese and wash it down with a brewed iced tea. Wendy’s prides themselves on serving beef that’s always fresh and never frozen. This is nice and all, but we’re pretty sure it still contains a hefty amount of antibiotics and growth hormones. As with all fast food joints, this is OK to eat every once and a while but you definitely don’t want to make a habit out of it. Your best bet is to stick with sandwiches minus the sauce and bun, and stay far away from their ever-so-tempting frosty’s, even if they are only $0.50. What to order: You can get a Dave’s triple burger with three-quarters of a pound of fresh beef, American cheese, fresh onion, and lettuce for around 1090 calories. Wendy’s has some good burritos available, but these might be messy to eat without the flour tortilla. They also have some fresh-looking salads, but these tend to contain ingredients that have added sugar and carbs, such as dried cranberries, taco shells, and breaded chicken. Stick with a plain salad if you can swing it or load your bacon cheeseburger up with lettuce and onions. Their chili might sound tempting, especially on a cold day, but it contains sugar, corn starch, milk and soy in its ingredients so you’ll want to stay away from it. Again, stick with the fatty meats, cheese, and veggies. Ah, Taco Bell. The best place to get your eat on at 2 am after a long night of partying with friends. While Taco Bell used to get a bad reputation for being unhealthy, it has come a long way, especially for vegan and vegetarians. But for the keto crowd, it might be a little harder to find something to eat here. Taco meat is great for a low-carb treat, but it tends to be hard to eat minus the shell. Because of this, we recommend asking for a fork and making sure you don’t try to eat this in your car while driving somewhere or else you’ll end up wearing it (or worse- in a car accident). What to order: Taco Bell now offers breakfast options, which is nice if you’re in a hurry in the morning. As we stated above, you’ll want to eat the insides of most of these tacos and sandwiches to avoid the bread. It might be messy, and there is really no way to order a taco minus the shell, so we wish you luck! Here are some low-carb friendly options. The nice thing about Taco Bell is that you can also ask for extra guacamole to increase your fat intake. Your best bet is to get a few beef tacos, top them with cheese, sour cream, and guacamole, and go to town. But be sure not to eat the shell and ask them to hold any sauces or at least put them on the side so you can control what goes on your food. Back in the day, Kentucky Fried Chicken didn’t have a drive-through option. So if you wanted something finger-lickin’ good, then you had to get out of your car and get it yourself. Now there are several locations that offer the drive-through service, which is good if you’re in a hurry. We recommend staying away from KFC and making it your last choice for fast-food if you’re strapped for time. This is because lots of the meats at KFC are breaded and fried, as the name implies. They use cheap vegetable oils to fry their foods so it’s best to stay away if you can. Sure, you can order a bucket of fried chicken and peel the breading off, but there are easier options for you out there to support your keto needs. What to order: All the sandwiches at KFC are breaded, so you can’t have those. But you can always grab a bucket of grilled chicken and be on your way. According to the website, one drumstick contains 90 calories, four grams of fat, and no carbs. Of course, the bucket comes with a bunch of sides, which you’ll need to skip out on. But at least you can get your chicken and get out of there quick! Some people might argue that Subway isn’t a true fast-food restaurant because you have to get out of your car to get it. But they still make your food fast, so it qualifies in our book. Some locations are even starting to deliver now. The best thing about Subway is that they have a ton of different meats, cheese, and veggies that you can pick from. As long as you hold the bread and sauces, you’ll be good to go. You can even customize your order so that you get exactly what you want. We recommend going with a sandwich minus the bun and sauce and a large side salad. What to order: Keep in mind that the meats offered at Subway are mostly processed deli meats. It’s OK to eat these every once and awhile, but again, don’t make it a habit. Try customizing a salad and loading it up with steak, cheese, and lots of low-carb veggies. According to Subway’s website, you can add bacon, avocado, and cheese on to any salad or sandwich. Also try adding fresh veggies such as lettuce, cucumber, and onions. Wash it all down with a bottled water, unsweetened ice tea or coffee, and stay away from the sugar-laden drinks. In and Out Burger allows you to drive up, grab a burger, and go. What more could you want? According to their website, In and Out Burger never freezes or microwaves your food, but they don’t say anything about it being grass-fed or hormone free. So keep your burger into to a minimum and pass on all the unhealthy card-filled sides. The menu at In and Out Burger is pretty simple. You don’t have a ton of burger options, but you can customize it as you wish. If you’re really hungry, get a 4X4 with cheese on a lettuce wrap and wash it down with a coffee or unsweetened tea. If you’ve never had Chipotle before, then think of a more upscale type of Taco Bell complete with all the Mexican food and tacos you love. Chipotle pays more attention to their sources of meat than other fast-food joints, which makes it a healthier option than Taco Bell. But you still might have a hard time eating a burrito without the wrap itself. They have a ton of side dishes that you can throw on your wrap, such as cheese, avocado, and even garlic. Take a look at their menu for a complete list of sides. What to order: The food at Chipotle is cleaner than most restaurants, and you can customize your meals however you want. Because of this, you’re almost guaranteed to find something keto here. Here are some options. Panera recently started offering drive-through services at their locations, which is super convenient. They also deliver! Out of all the fast food places, Panera is probably the healthiest. They have antibiotic-free chicken and that’s something most places don’t have. But you won’t find a lot of beef or pork on their menu. We recommend customizing a salad or getting a sandwich without the bread and sauces of course. What to order: Panera is considered a healthy fast food restaurant, but you’ll have to work a little bit harder to get something keto-friendly as most of their menu is dedicated to plant-based foods. Stay away from the soups and bowls, and stick with a salad or sandwich minus the carbs. What about Other Casual Dining Restaurants and Cafes? For a list of casual dining restaurants, takeaways and food/drinks stores that you can find low carb options, check this Ultimate List of Low Carb and Keto Friendly Restaurants. 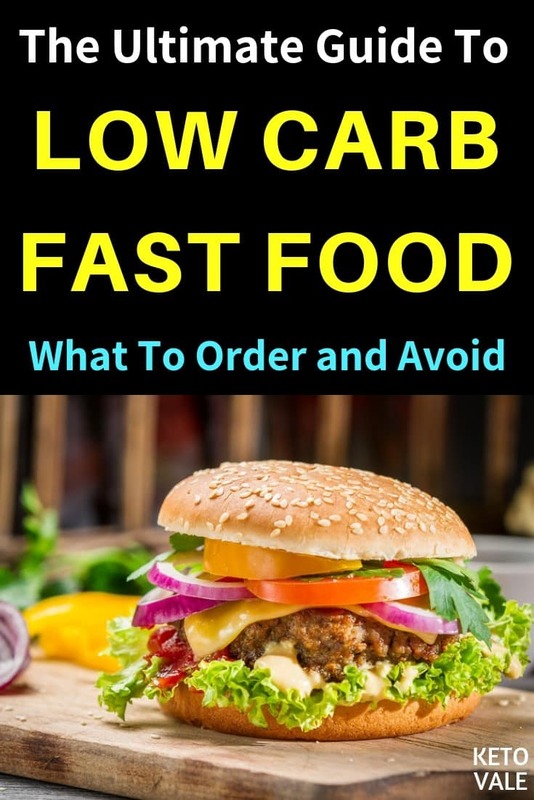 Yes, you can still eat low carb fast-food when it’s your last and only choice while on the ketogenic diet! It’s still better than cheating on your diet. You just have to know what to order. 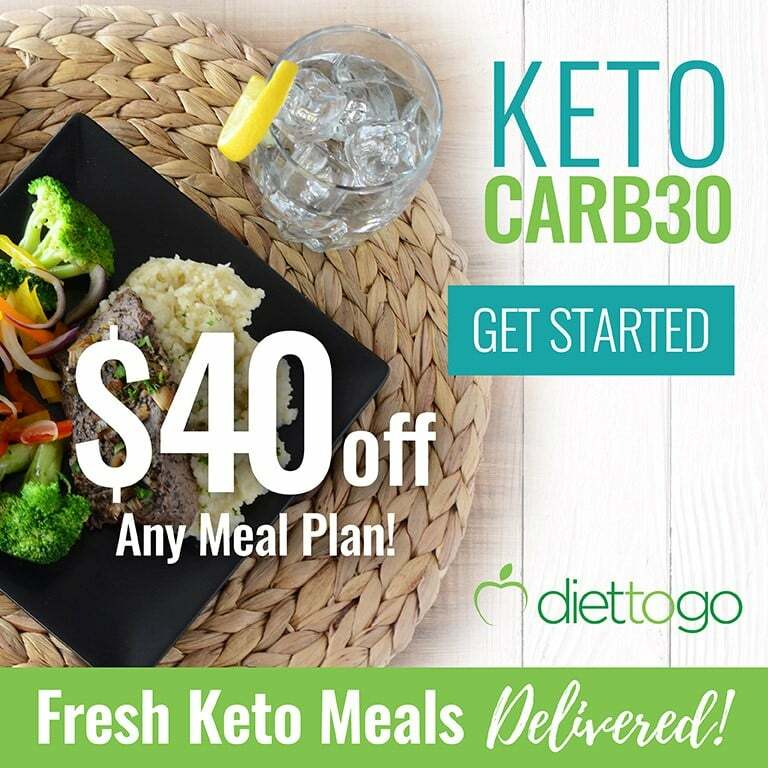 If your budget allows, you might want to look into some keto meal delivery services for higher quality keto meals, especially when you don’t have time to cook. Keep in mind that most fast-food places use the lowest grade of meat as possible to keep their costs down, so you definitely don’t want to make fast food a habit. Expect the meat to be full of antibiotics and hormones unless otherwise stated. Most fast-food places offer an array of breakfast sandwiches or burgers. Get one with fatty meat, such as steak or beef, and top it with cheese, bacon, ham, and veggies. Ask them to hold the bun or toss it when it arrives. Also, be sure to hold any sauces that come on the sandwich. You can also get a side salad to go with your burger. Just make sure you get one without dressing and croutons. Remember, fast foods are not supposed to be on your keto meal plan, it’s just the last choice when you can’t find anything to eat on the road. You should always try to prepare your keto meals as much as you can. Enjoy this post? Save for later reference!